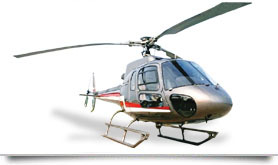 Fishtail Air’s New helicopter 9N-AKA (AS350B2) on its way from Singapore – Summit Helicopters Pvt. Ltd.
Our team of Capt. Ashish, Capt. Mukhiya and Col. O.P. Shrestha left for Singapore to fly our AS 350 B2 Helicopter 9N-AKA to Nepal. Our latest addition to the fleet had been bought from Italy from where it had been shipped to Singapore. They will ferry the helicopter from Singapore for Nepal on the 14th of March and will be here by the 17th of the same via Phuket and Yangoon. We at Fishtail are eagerly awaiting the arrival. We wish them all the luck for the journey. This would be our second addition this season after our B3 landed from India on the 27th of February. Posted in: Company News, Tourism News.